After downloading the FREE Lite version, if you wish you can donate some money. Your little donation will help our audio engineers and programmers to make more FREE plugins for you. We have created very detailed yet very fast and easy loading sample based Upright Piano plugins for your Digital Audio Workstation (DAW). 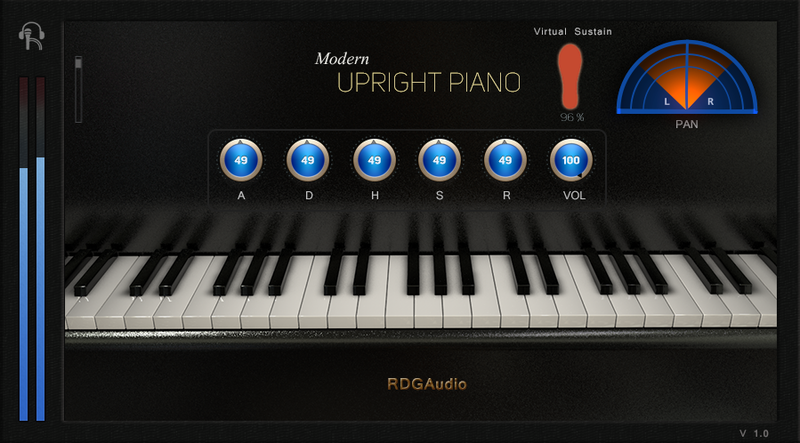 Modern Upright is a new generation Piano software plugins developed by RDGAudio team. Now you can play your favorite songs right from your PC with just a Midi keyboard. Comes with modern UI. From Rock,Pop,House to modern EDM and Trance, Modern upright piano helps you to make better music in less time. Velocity range (2-126). Don't play at 127. Modern Upright Piano Lite has some limitations. Purchase the full version to get full features.